It’s impossible to predict exactly when a natural disaster will occur, but it’s a sure bet that property damage will occur as a result. It’s important to call a damage restoration company as soon as possible once things calm down. Storms, floods, and fires don’t follow business hours or take weekends off, so working with a company that’s available 24 hours a day is crucial. ServiceMaster Restoration & Cleaning has been trusted with restoring homes and businesses in Fall Creek, TX since 1992. Each one of our professionals has been trained and IICRC certified to provide high quality disaster restoration services, according to the guidelines set by the ServiceMaster Restore Quality Restoration Vendor Program (SQV). The cleaning products and equipment we use at ServiceMaster Restoration & Cleaning are the best available in the industry, ensuring that we provide our residential and commercial clients with only the most comprehensive disaster remediation. Our staff is able to manage projects of any size and we are proud to take part in community-wide disaster support whenever Fall Creek is in need. The Better Business Bureau has given us their Award of Excellence three times, and we have also received a Super Service Award from Angie’s List. Fire Damage Restoration: Fires are among the most dangerous disasters, so the top priority should always be saving lives over protecting property. However, after the fire is out, toxins from fumes, burned synthetics, and soot continue to etch and tarnish furnishings and building materials. This damage will continue to occur until the restoration begins. ServiceMaster Restoration & Cleaning has been providing high quality fire damage restoration services for twenty-five years. We rebuild the damaged structural elements, as well as clean and restore fire-damaged personal property. Smoke & Odor Mitigation: When there’s a horrible smell in your home, it doesn’t matter how beautiful it looks. Odors can come from any number of things, like pets, sewer backups, or fires, and no amount of commercially available products will make them go away for good. Once these smells are absorbed into furnishings and building materials, they’re almost impossible to remove without professional help, so call the highly trained experts at ServiceMaster Restoration & Cleaning. Our odor mitigation services can get even the worst smells out so you can stand to be in your home or business again. We use only equipment and products available to the trade, to ensure your property remains odor free. Water Damage Restoration: Water is the most common cause of property damage because it comes from so many sources – anything from a broken water heater to a leaking pipe to flooding from a storm can lead to excess water in your home or business. The longer the water sits, the more it spreads into other areas, soaking and rotting as it goes. 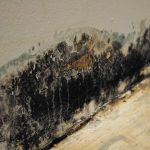 Even worse, mold growth can appear within 48 hours unless the remediation begins quickly. The specialists at ServiceMaster Restoration & Cleaning use the latest methods to remove excess water and moisture and dry the affected areas before further damage can occur. We will restore any damaged areas to prevent future mold growth. Water damage in your home can be frustrating and stressful. That’s why at ServiceMaster Restore, we are for you and your family’s needs. Our experts will inspect your home and form the most effective plan based on their findings. For more information watch the video. If you need damage restoration for any reason in Fall Creek, TX, call the highly trained experts at ServiceMaster Restoration & Cleaning at the first sign of damage. We respond quickly and work with your insurance company to speed your claim through. Call us at (800) 303-5844, 24 hours a day, 7 days a week, for comprehensive disaster restoration services.